VATICAN CITY (CNS) — Peace is a gift that comes through prayer and through small daily efforts to sow harmony in one’s family, parish and community, Pope Francis said. “At the beginning of this new year, we are all called to reignite in our hearts a spark of hope, which must be translated into concrete works of peace: You don’t get along with that person? Make peace. In your home? Make peace. In the community? Make peace. At work? Make peace,” he said Jan. 4 during his midday recitation of the Angelus. Before announcing the names of the 20 new cardinals he will create Feb. 14, Pope Francis used his Sunday Angelus address to continue the reflection on peace, on Mary and on the church that he began during a Mass Jan. 1 marking the feast of Mary, Mother of God, and the World Day of Prayer for Peace. 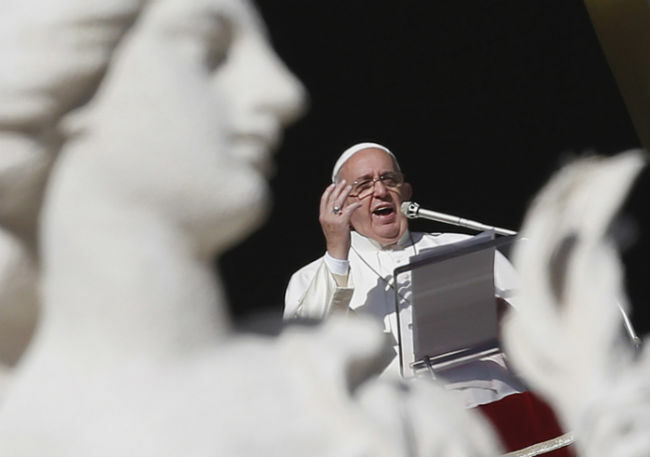 “Peace is not just an absence of war, but the general condition of the person who is in harmony with him- or herself, in harmony with nature and in harmony with others,” he said during the Angelus address. Everyone says they want peace, Pope Francis said, but they continue to make war, even on a small scale. “How many families, how many communities — even parishes — are at war,” he said. Faith helps make people free, and living the tenets of faith helps make them peacemakers, he said. “Thanks to our baptism, we were introduced into communion with God and we are no longer at the whim of evil and sin, but we receive the love, tenderness and mercy of the heavenly Father,” he said. Earlier Jan. 1, Pope Francis celebrated Mass in St. Peter’s Basilica and focused his homily on Mary as both the mother of God and mother of the church. “Jesus,” he told the congregation, “cannot be understood without his mother,” the one who gave him human flesh, raised him and was near him always, even as he died on the cross and rose from the dead. “Likewise inseparable are Christ and the church,” he said. And, just as Mary brought Jesus into the world more than 2,000 years ago, the church continues to bring him to the world, he said.